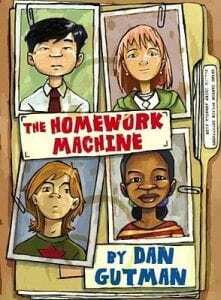 And the winner is….The Homework Machine by Dan Gutman! The story is told from multiple viewpoints. The reader gets to hear not only from the four protagonists but also from their parents, their teacher, the police chief, and some of their classmates. The story is told in the first person. As students are working on character analysis, they can use the individual’s own words as well as what the other characters say about him or her. While the overall tone of the book is humorous, it explores some pretty serious issues, such as military deployment, not fitting in with peers at school, parental pressure to make good grades, and the viral nature of the internet. It’s a great opportunity to discuss the Science Fiction genre with students. 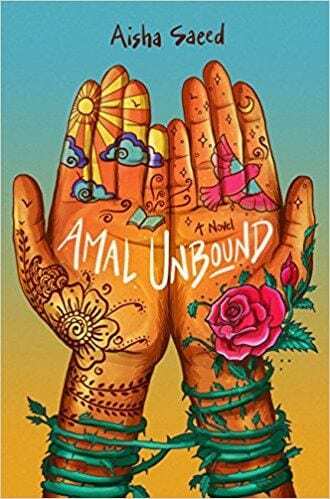 In my experience, not many students choose Science Fiction as a favorite type of book, but this is a perfect example of how it’s not just aliens and space travel. We can also discuss the elements of Realistic Fiction in the book vs the elements of Science Fiction. And as I mentioned before, Dan Gutman is a prolific author, as well as a diverse one. Not only is there a sequel to this book (The Return of the Homework Machine) but he’s written the My Weird School series, the Baseball Card Adventures series, the Genius Files series, and the Flashback Four series, among others. 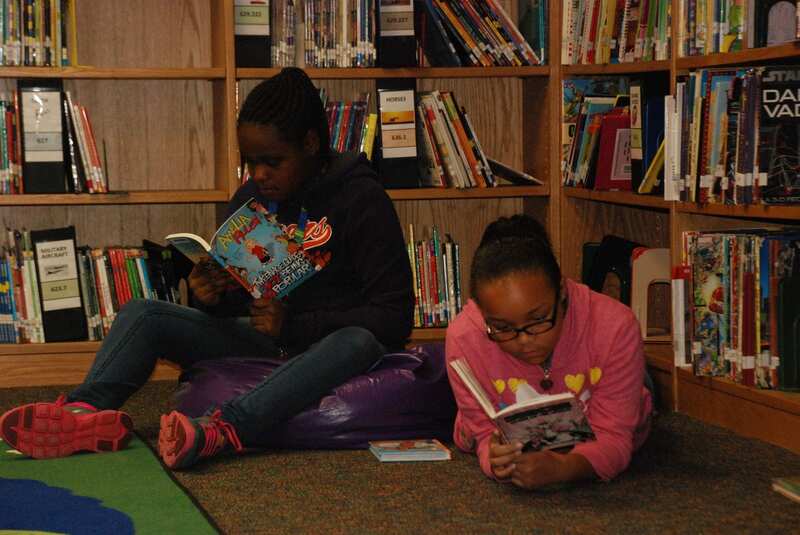 Once kids connect with one of his books, there are dozens of others to enjoy. Have you used The Homework Machine as a read aloud or in a book club? Please leave a comment and share your experience! 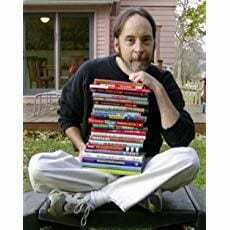 **The photo of Dan Gutman is from his Amazon author page. 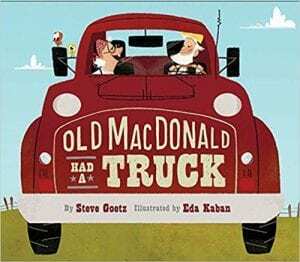 I’ve been thinking about the all the upcoming opportunities to share books with kids this year. 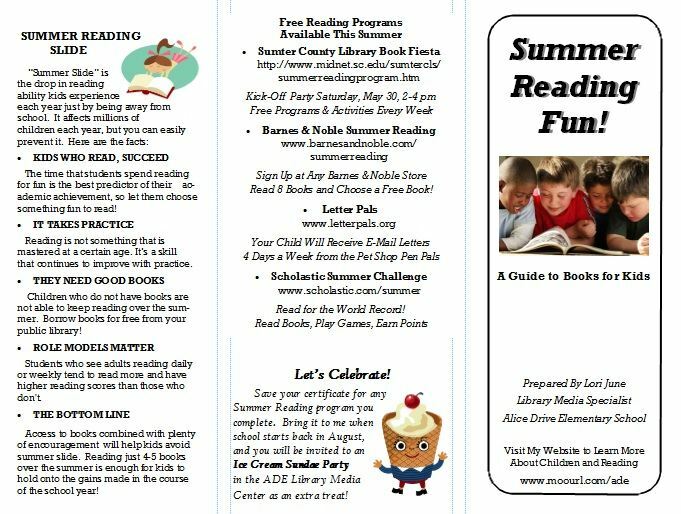 I’m excited about the opportunity to partner with teachers to provide a variety of positive reading experiences with students. 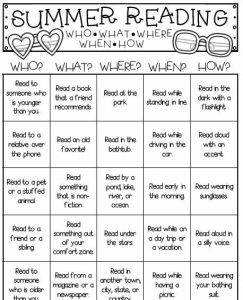 We all know that kids are social, so one of my goals is to make reading more social too. 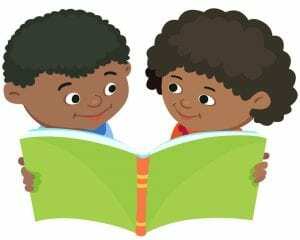 Certainly books can be enjoyed independently, as a private and silent conversation between the reader and the author. 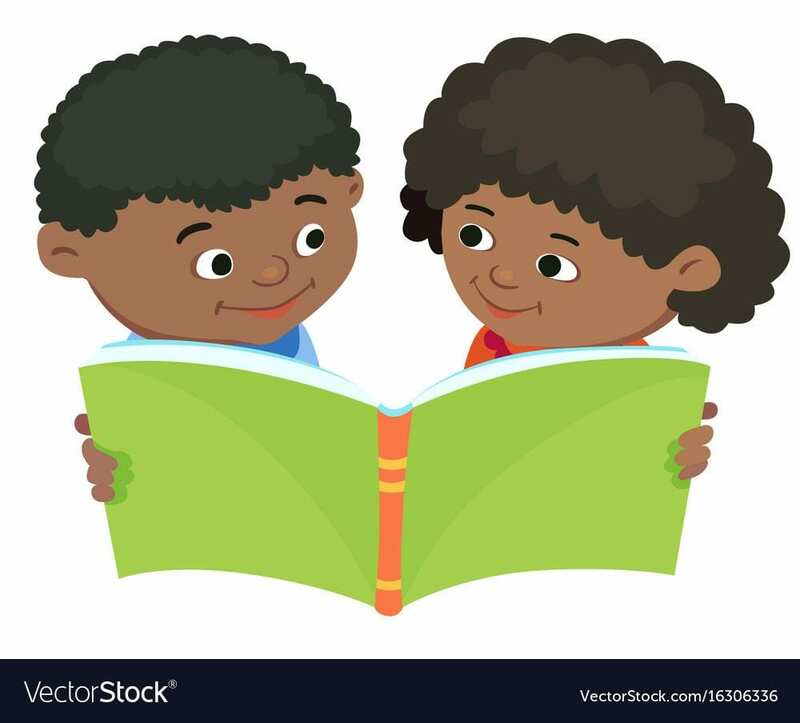 But books can also be read aloud and discussed and debated and reviewed and recommended in a way that builds a shared excitement for reading. 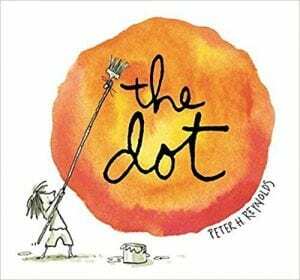 International Dot Day (Sept 15-ish) – a celebration of creativity, inspired by the book The Dot by Peter Reynolds. National Comic Book Day (Sept 25) – an event that I like to celebrate with a Comic Book Read-In in the library featuring an assortment of graphic novels for students to enjoy. 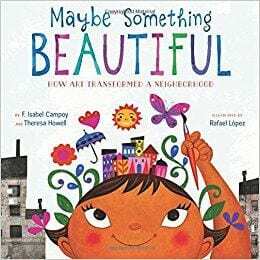 Jumpstart’s Read for the Record (Oct 25) – an initiative developed to highlight the importance of early literacy, which this year features the book Maybe Something Beautiful by F. Isabel Campoy and Theresa Howell. 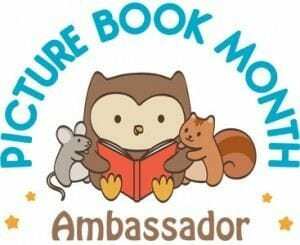 Picture Book Month (the entire month of November) – an international literacy initiative that celebrates the print picture book and provides a themed literacy calendar and blog posts from picture book authors and illustrators sharing their thoughts on why picture books are important. What reading events are you looking forward to this year? 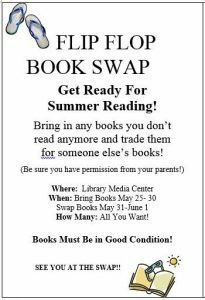 Please leave a comment or tweet me @LibraryLoriJune and share! 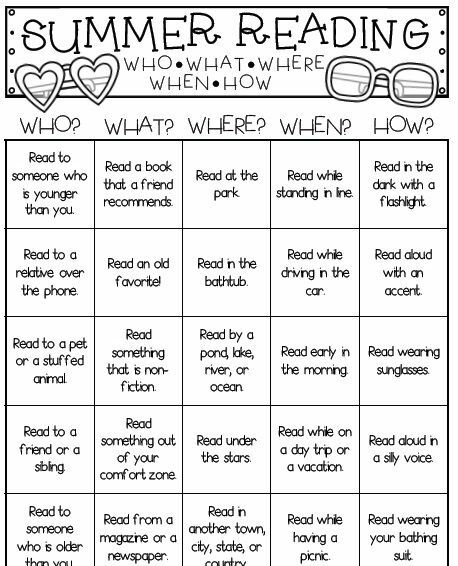 I always like to plan end-of-the-year activities for my library classes that encourage students to keep reading over the summer. As someone who always has stacks of books around the house, as well as a public library card, I take it for granted that time off from school just means MORE time to read. But I realize that for many of our students, the opposite is true. I usually do a book swap during the last week of school, but this year we made that one of our Read Across America Day activities. 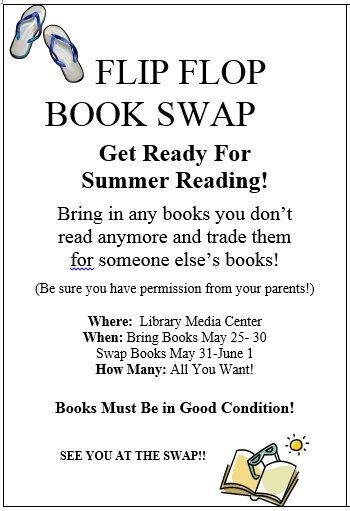 Click to download the flier I send home for the summer swap. 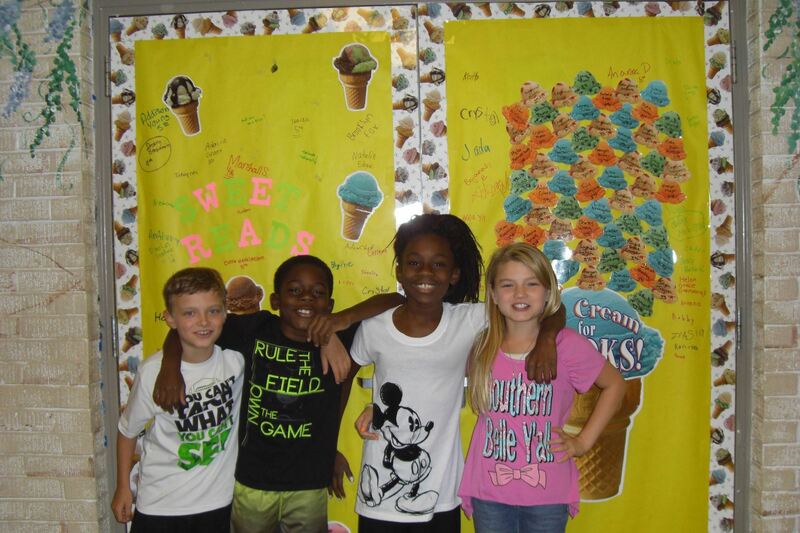 And finally I entice them with the promise of our annual Summer Reading Celebration, an ice cream sundae party for students who turn in a reading log (signed by a parent) of books they enjoyed during the break or a certificate of completion from an official summer reading program. 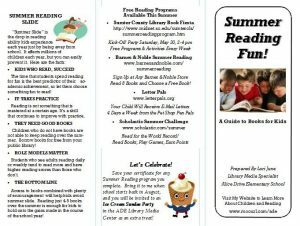 How do you get students excited about reading over the summer? Leave a comment and share! This week in the library students are taking Scholastic’s Book Genre Personality Quiz. The quiz consists of seven questions such as what you want to be when you grow up, favorite after-school activity, and thing you’re most afraid of. 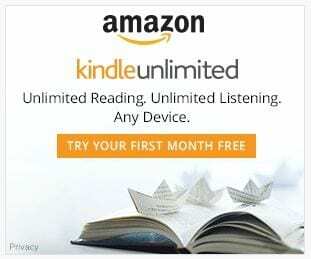 Your answers determine your recommended genres, and you can receive anywhere from one to three categories of books that you might enjoy, along with a brief description of the genres and the reason they were chosen for you. I have each student write his/her name on an index card and list the recommended genres. I then collect the cards so that I can provide some reader’s advisory feedback using the quiz results plus what I already know about the students’ reading habits. While I look through the cards and write down a few recommended titles from our library collection, students use Destiny (our OPAC software) to conduct genre searches and write down any promising results on the To Be Read log sheet in their library folders. I give the index cards back as I finish my recommendations, and students are then free to visit the shelves for check out time. They can choose a book they found in the library catalog, a book I suggested, or something totally unrelated to the genre quiz activity. Here are two log sheets you can download for your students to use for books they want to read in the future. They both have a column for the title and author of the book. The first one also has a space for a brief summary of the book, while the second one has a column for the book’s genre and for the date finished (should the student actually read the book). 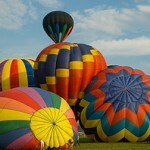 Testing getting you down? Just the thought of testing getting you down? Testing season can be stressful for students and their teachers! We asked teachers for their favorite positive, motivational, stress-reducing, hard-work-encouraging and just plain fun read-alouds for those bubble-test kind of days. Dexter the dog is little but he has dreams — big dreams. He wants to be a superhero! So he reads all the comic books he can, works out to build his muscles, and even orders a hero suit. Dexter has determination, spirit, and heart. He proves that no matter how little you are, you can still do very big things. Brainstorm ways that students can prepare themselves for standardized testing (getting a good night’s sleep, eating a nutritious breakfast, etc). Grandpa’s teeth, which were handmade by the finest Swiss craftsmen, have been stolen! Officer Rate arrives on the crime scene to investigate. He puts up WANTED posters for the missing teeth and rounds up the usual subjects. Grandpa even goes on the famous TV show Unsolved Crimes. But the crime remains unsolved. What is Grandpa going to do? 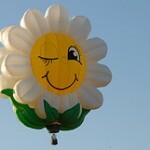 And why does everyone in town keep smiling all the time? Athk all thtudenth to thpeak with a lithp ath though they were mithing thome teeth. Have students smile continuously throughout the day, the way the townspeople in the book do. Face the standardized tests with the same bright smile the townspeople in the book use. 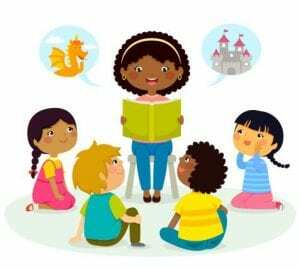 Skippyjon Jones, the little Siamese cat, really wants to go to school, but Mama Junebug Jones tells him school is where dogs go to get trained. So he goes inside his closet instead, where he finds himself in the school of his imagination, surrounded by dogs of all kinds enjoying reading, art, and music! It’s fun until a bully threatens total lunchroom destruction; then it’s up to Skippyjon to save the day. Read it aloud to your students. Even better, play the audio version of the story (my book came with a CD) while you show the pictures. 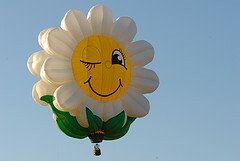 Visit the Skippyjon Jones website for videos, activities, games, and curriculum guides. Write your own set of class lyrics for a Mexican Hat Dance with a testing theme. (“Oh we are the testing banditos Clap Clap, We bubble like lively mosquitos Clap Clap, We all do our best on the standardized test, We hope that our snack will be Fritos Clap Clap!) Use the song and dance during your testing breaks. Use the “Doing Nothing” challenges and games from the Non-Activity Kit. Practice doing nothing every time the kids get on your last nerve. 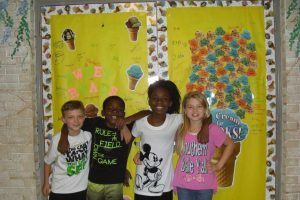 These are high-stakes tests after all, so your students really can’t over-prepare for the strict testing environment they will encounter. Rufus is not like the other wolves. He spends his time rolling in the grass, running like the wind, and howling at the moon. His parents, feeling he needs a more structured existence, send him off to the Big Bad Wolf Academy. 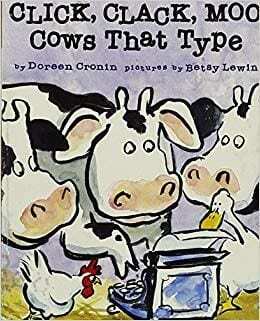 The curriculum is tough: learning to huff and puff, determining the best way to enter a henhouse, and coming up with disguises to fool little boys and girls. When it’s time for exams, Rufus is unprepared. Then hunters interrupt the testing, and it’s Rufus who has the necessary skills to successfully fend off the danger. Maybe you’d better just save this book until after the testing is over! 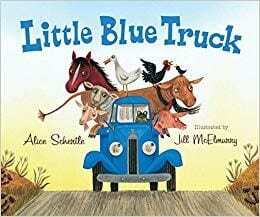 All kidding aside, are there any read-alouds you like to use during testing season? Please share your favorite titles in the comments! You can download and print some wonderful resources to celebrate reading this week, including a poster by Brian Won featuring characters from his book Hooray for Hat! and a bookmark by Cece Bell based on her graphic novel memoir El Deafo. 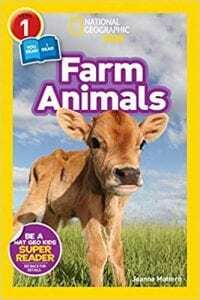 You can also print lesson plans and activity kits for kids of all ages, and right now the awesome site TeachingBooks.net is offering a collection of free resources for all the Children’s Choice Book Award nominees, including videos! Click here and scroll to the bottom of the page for the links to each category.